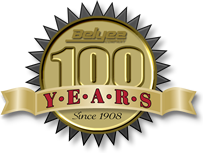 Whether caused by a natural disaster or an equipment failure, whenever an electrical emergency takes place, Belyea Company takes pride in being capable of immediately responding to your needs 24 hours a day, seven days a week, anywhere in the United States. In addition to our extensive inventory and shop repair capabilities. We can repair or replace your faulty circuit breakers, motor control, switchboards and other electrical equipment on-site at your facility. All Manufacturers & Types from Mid-Century to present day.